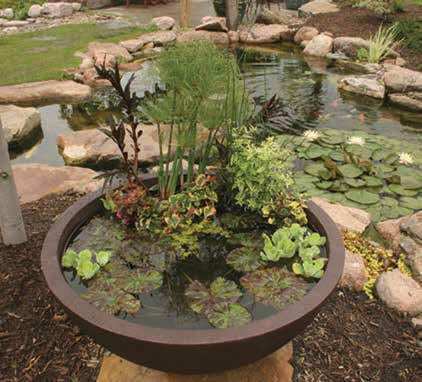 Container Gardens, also known as Patio Ponds, are the easiest way to bring the beauty of water and its soothing, relaxing character to your home. 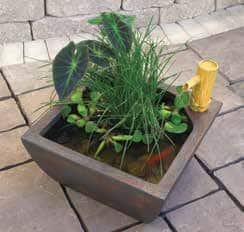 Any watertight container will do, and the possibilities are just as unique as you are. Maybe you want to keep history and memories alive and use one of Grandpa's old milk cans from the family dairy farm. Or maybe that large flowerpot from last year's garage sale adventures is your container of choice. As long as it holds water and you like it, you can build your own Container Garden. And if your chosen container is not watertight, a rubber liner can solve that problem. 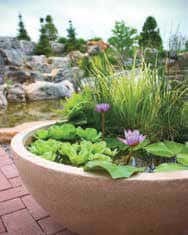 Visit our Premier Pond Supplies store and we can provide the proper supplies that you need to complete your own container garden. See what we can do to transform your patio into a your own personal get-a-way! 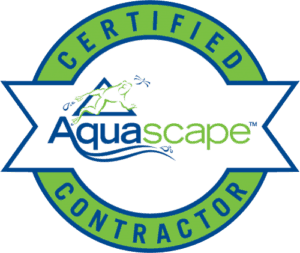 Don't settle for less than certified Aquascape equipment and supplies.